Are you ready to be a master of coin collecting? Coin Collector is simple. Collect the coins to move further into the game. 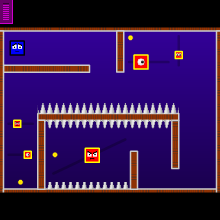 While doing this, you must avoid enemies, spikes, and other hazards. Can you complete all 7 levels and become the master coin collector?